With the largest capacity in the range holding 0.6l, Henley is a popular shape with some fabulous designs. It has a very comfortable strap handle with gentle, concave sides. Claire Winteringham brings the beauty of the poppyfield to your home with these gorgeous, watercolour 'Poppyfield' designs. 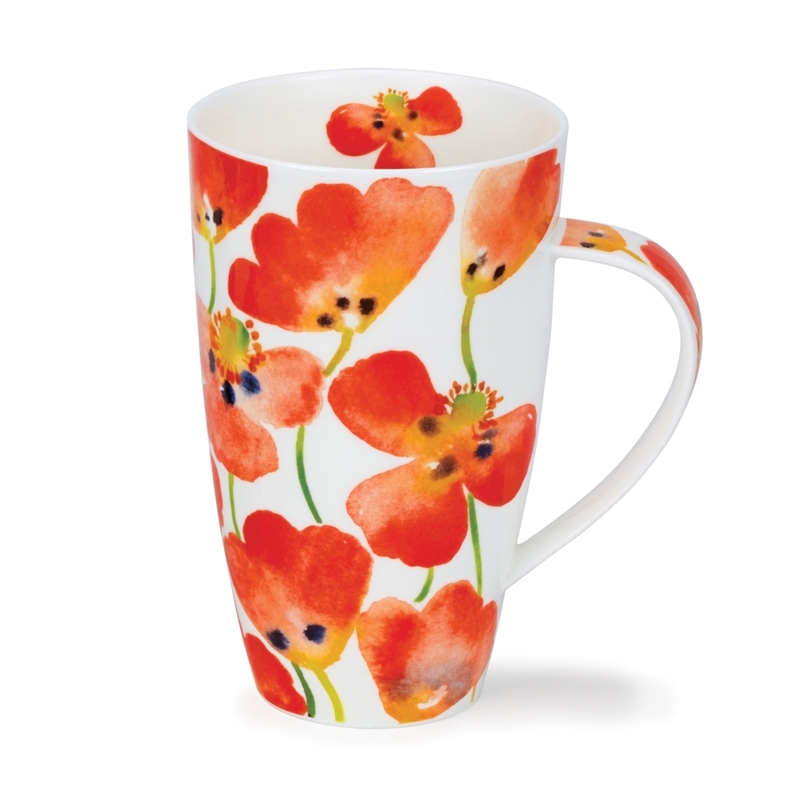 This design features radiant red, watercolour poppies. Claire Winteringham studied Textiles at Manchester Metropolitan University and has been a professional artist - paintings, illustration and design - since graduating with 1st.Class BA.Hons in 1978. It was there she learned her skills of observation, drawing and appreciation of colour.